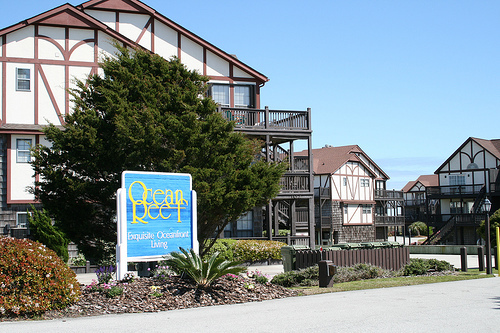 The Tudor-style gated Emerald Isle condominium complex provides owners and vacation guests with a beautiful private resort located on the narrow strip of this Bogue Banks Island. You’re sure to enjoy the pristine shores of the Atlantic Ocean as permanent residents and guests enjoy a relaxing time. Providing outstanding panoramic ocean and sound views, recreational amenities include shuffleboard, a large swimming pool, lighted tennis courts and a covered community area for picnics by the pool.